My day didn’t turn out the way I planned it. All my classes were cancelled for some reason or another, that means I earned zilch today. It’s not going to ruin me, but for a freelance tutor, every hour counts. Sigh. Así es la vida. It is what it is. So what do I do on a sunny Saturday? Initially I wanted to stay home and catch up on my sleep. I’m always bone tired and the heat was not really helping. And then, as I was getting ready to take a nap, I started thinking about doing something unexpected. I’ve been in a rut the past— month, two months?—and have tried a number of things to get out of it and, so far, nothing has helped. So I called up a friend and decided to meet up in UP (the University of the Philippines). I haven’t been there in ages and wanted to revisit my old haunts. In 2008 I entered the College of Fine Arts’ Masters Degree program. I couldn’t study full time; I only had classes twice a week. Before UP I’ve had the privilege of studying at the Ateneo de Manila University, Universidad de Santiago de Compostela, and la Universidad de Barcelona. I love all of these institutions, I’ve met some wonderful people there, learned different lessons in and out of the classrooms, and each one has its distinct feel, culture, quirks. UP was no different. I even had a bit of culture shock—yeah, in my own country!—during my first semester. It was all good, but my stint at the national university ended after two years. I decided to take an indefinite leave of absence from the program. That’s one loooong story I don’t really want to get into right now. ANYWAY, back to today. 🙂 I put on my brand new trainers and headed to UP. I walked a bit before meeting up with my friend. We skipped the jeepney and just sauntered through the campus while talking about our memories of the place, our current lives (her move and BF, and my cats and angst about art and life in general), and just enjoying the view and the vibe of the campus. 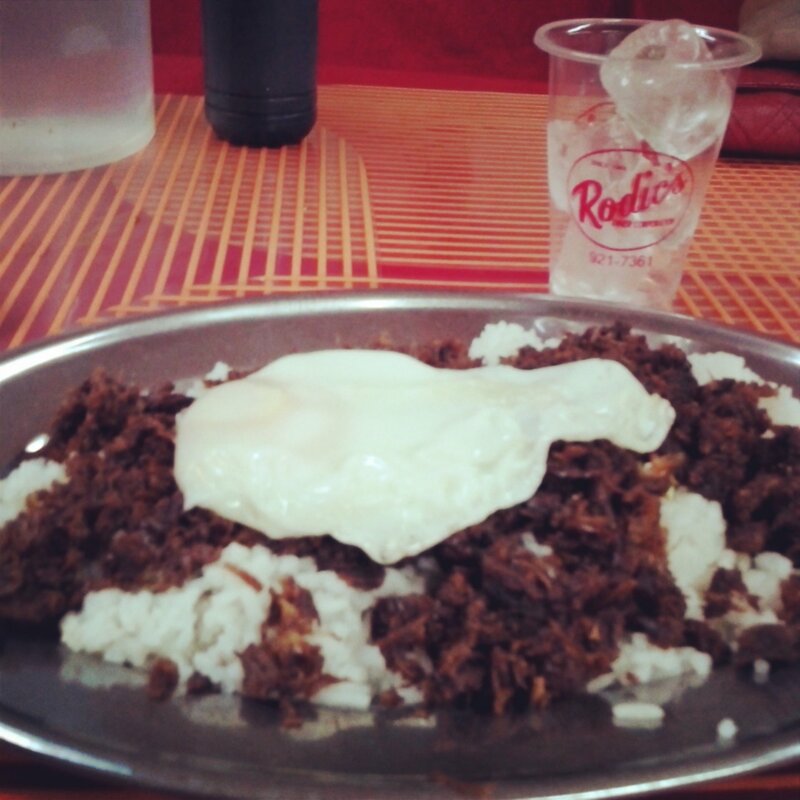 We didn’t really do anything outrageous or ground breaking —ate late lunch at Rodic’s, had isaw and creamy, yummy ice cream, and just talked non-stop—but it was exactly what I needed to feel relaxed and happy in my head again. What I needed was a simple, carefree walk down memory lane to help me focus again. Or maybe it was just the UP effect—the last place where I did major grappling with my life as an artist. I went there to visit old hangouts but ended up digging into old mines in my head. Okay, it’s not a magic pill and I know the happy molecules are probably going to lose their effect tomorrow, but I think things are going to clear up soon. At least that’s what I hope would happen. Hope springs eternal, right?